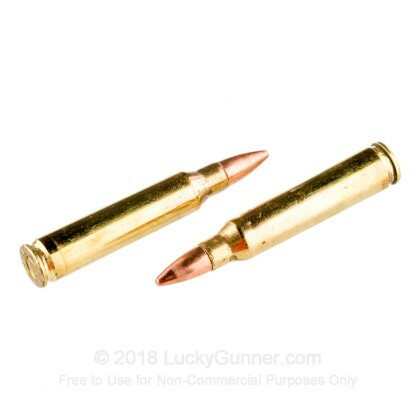 Excellent shooting ammo for the price! Zero FTF in Ruger AR556. Also, excellent service from LG! Bought 500 rounds for my new Aero Precision AR-15. Didn't want to run foreign ammo on first shoot. Shot 120 rounds last weekend. No jams or problems, shot great. Good price and delivery was excellent. Will buy again. Shoots true, clean and reliably. Good value for range work. good price on 500 rounds. come in boxes of 20 rounds. So far ammo seems like a good deal for the price. would buy again. super fast shipping. Great plinking ammo at a great price! This is great ammo for the price! 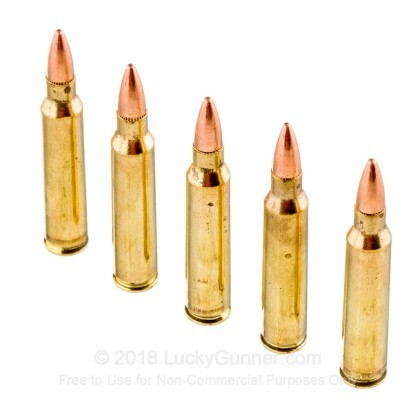 My son and I have shot over 200 rounds of this ammo through our ar's and haven't had a single issue. Accuracy is better than we are (red dot sights, so not shooting at super long ranges). At 25 yards it makes one ragged hole. Fun to shoot! Luckygunner service is second too none! Works fantastically in my S&W M&P Sport. Plenty accurate for practice. Will buy again. 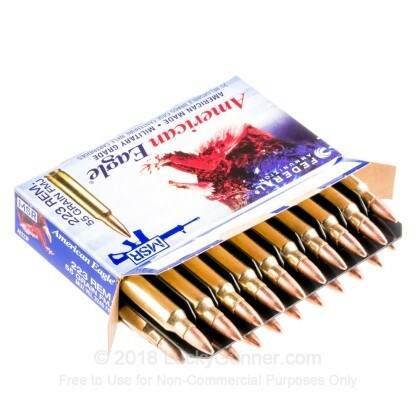 These American Eagle brand ammo's are all great product. Almost 1000 rnds to date with no failures. Fast shipping, exactly what I ordered, packed well, not a damaged box one. Perfect. Bought a box of 90 to just try them out. Banged through all 90 rounds while sighting in new optics. And every shot hit true. Finished doing some great grouping off my irons and not one hiccup. So if you're looking to keep the cost of fun down but not sacrifice a quality round this is it. Very fast service, prices are always great and quality ammo. Finally got to the range. 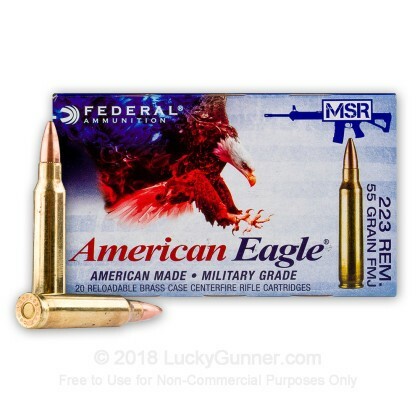 American Eagle is excellent ammo. I'm so convinced that this is the best ammo that I am buying it from 9 mmmm, 223 and other ammo as needed. Simply a great on-line buying experience. Simply a great on-line buying experience. Great price, great customer service and follow-up and delivered on time. Functions flawlessly in my Colt LE6920MPSB AR15. American made. Great quality. Good price. Super quick shipping from Lucky Gunner. I have a large number of rifles chambered in 556 / 223 and I have found this ammunition to be accurate, reliable and consistent. I find that it will shoot sub MOA at 100 yards with 1/9 and 1/8 twist barrels and just slightly over that with 1/7's. I've ran well over 2000 rounds of this through various platform with zero ammo related failures. No misfires. Good value. Great for target.. I shot this ammunition through three rifles at three different differences. The ammunition cycled perfectly and burns clean. 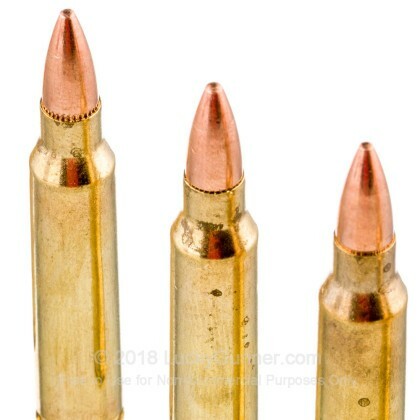 However, it is extremely inconsistent, PMC Bronze, Fiocchi 55 grain, Ultramax, and PMC X-Tac 62 grain grouped significantly better at all three distances. For a shooter on a budget I recommend PMC Bronze or Ultramax. Very accurate in my model 12. No ftfs,no misfires.Geat ammo for the price. Will buy again. ammo just fine. got my son to buy ammo from you. shot well in my M4. Used them in a new AR. Fed fine and shot better than I can! Thanks. I just received my 1,000 rounds of this ammo and have not had a chance to shoot with it yet. Great service and ammo arrived on time. However, every 20 round box I opened I was not happy with the color of the brass. Absolutely no type of any shine on any of the brass. Every round was dull in color and what appeared to be minute "black" marks on them. Additionally, many many of the brass casings had minor scratches on them. I will be going out in a week or so to fire about 2-300 rounds. I "won't" say these are not great ammo or may hang up because as I said, haven't had a chance to shoot any. If I was to guess, I'd have to say that I won't encounter any problems. I also can't say that the brass looks like re-loads because I've seen re-loaded ammo before. The value of 1,000 rounds is fantastic. I "will" be ordering more ammo from Luckygunner in the future along with other accessories. Great service ~ great price ~ Fantastic homepage. 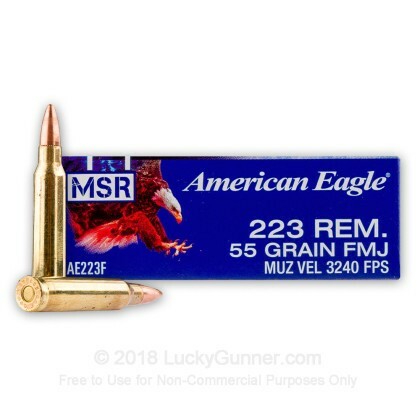 We also have this 223 Rem - 55 Grain FMJ - Federal American Eagle - 20 Rounds ammo in stock in a smaller quantity.